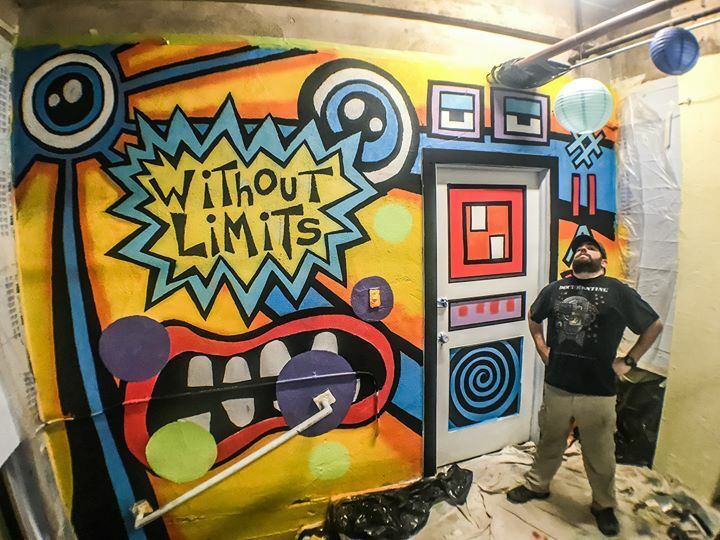 Without Limits, A mural by Brian A. Bernhard – continued! Hey folks, I’m hitting the concrete walls with color again, this Thursday and Friday…I am going to go at it all day and I will be broadcasting it live bouncing back and forth between Periscope ande Facebook live. Try to tune in and hang out if ya can…I had a blast with you last time! https://www.periscope.tv/BrianABernhard/1YqKDjlEArLJVWelcome to the weird world of Brian A. Bernhard, eccentric artist, designer & founder of "Embrace the Weird" a lifestyle brand for weirdos!